Try one of these Three Tempting Recipes for Korean Chicken if you want a dinner that’s a bit out of the ordinary! Click here to PIN Three Tempting Recipes for Korean Chicken! Even though Korean Food is becoming more common, Korean cooking is still a mystery to many people even when they’ve cooked other types of Asian food. 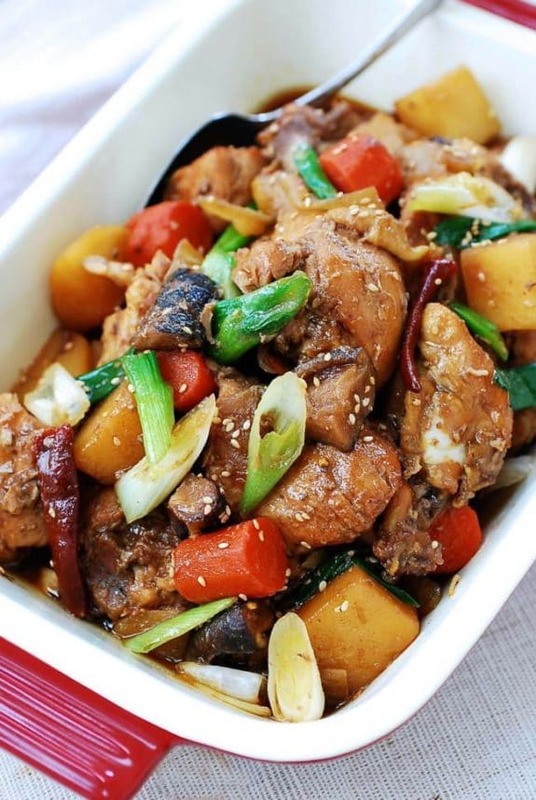 But it can be fun to expand your cooking horizons, and we’ve compiled this collection of Three Tempting Recipes for Korean Chicken as this week’s Friday Favorites picks to tempt you to try making Korean food at home. There’s a slow cooker version of Korean Chicken, as well as a couple made in the Instant Pot. We hope you’ll check out these recipes and make one; you’ll be on your way to knowing more about Korean Food and how to make it! Then come back and tell us whether Korean food was a hit with our family; we hope it will be! 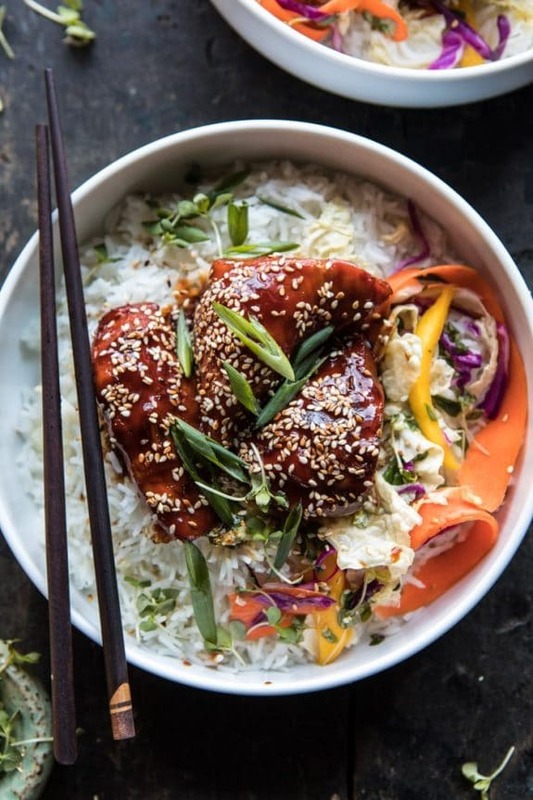 This Korean inspired Instant Pot Sticky Korean Chicken from Half Baked Harvest looks incredible! For a complete meal in just 30 minutes, this would be a perfect busy day meal. Slow Cooker Dakjjim(Korean Braised Chicken) from Korean Bapsang is made using the whole chicken cut into pieces or bone-in skin-on thighs and drumsticks. You’ll enjoy the rich sauce that binds everything together; this sounds simply delicious! Pressure Cooker Korean Chicken Thighs from Pressure Cooking Today, have an amazing combination of ingredients that make a tasty sauce. 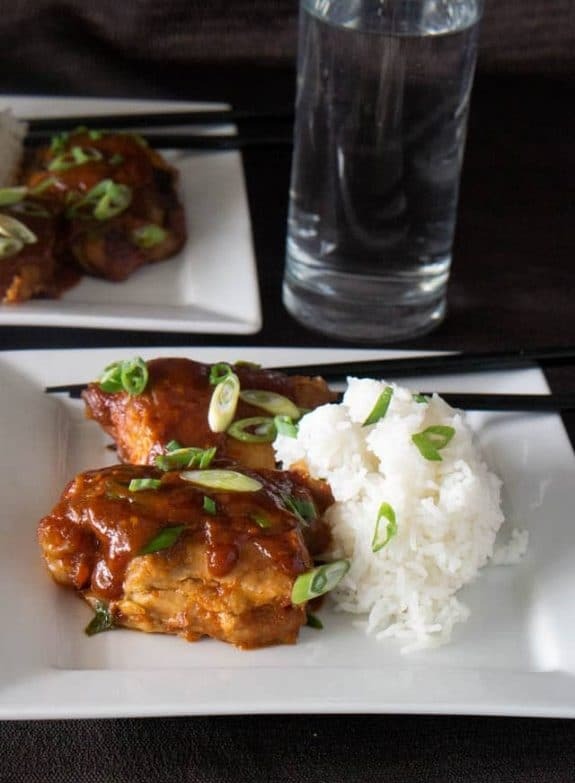 These tender chicken thighs with the sauce served with rice look so delicious! I'll add my name to the list of people who would like to know more about Korean cooking, beyond barbeque and bi bim bap. So thanks for sharing this recipe! Lydia, glad you like it! Thank you so much for featuring my recipe, Kalyn! This recipe has been very popular on my blog. Hope your readers like it as well. Hyosun, I can really see why it would be popular, sounds amazing!